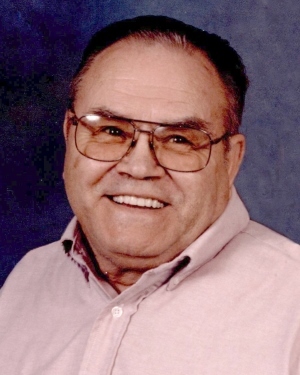 William M. "Bill" Foster was born in Shevlin, MN in 1924 to Robert and Onella Amanda Foster. He lived in many different places including The Dalles, OR, John Day, OR, and San Jose, CA, before retiring in Caldwell, ID, with his wife Pearlene. Bill served in the Air Force/Army during WWII. After the military he was a carpenter for many years, he even had the privilege to help build a ride at Great America in California. He enjoyed deep sea fishing, often taking church groups out on charter boats, camping in the Redwoods, and gardening, especially his tomatoes. He also enjoyed singing in the church choir, even though he knew he wasn't very good. Bill had a total of 5 kids, Gladys, David, Ed, Steve and Christina; 10 grandchildren; numerous great-grandchildren; and even a few great-great grandchildren. debut, with all the other grandchildren and great-grandchildren being so far away, having granddaughters Samantha and Erin close by made it nice. When Nora Layne would visit, he would tell everyone who would listen that she was his girl. Bill fell in December 2014 breaking his hip for the first time, pretty good for a 90 year old. He recovered well and returned home doing things he probably shouldn't have, but anybody that knew him, knew how stubborn he was. He even kept driving a while after he returned home. In April 2017, Bill unfortunately fell again, breaking his other hip. This recovery was not as easy and definitely took a toll on him. He was determined though to get back home until he fell again while in rehab. That was about all his body could take. Bill kept his spirits up by flirting with the nurses at the care center, everyone loved him there. He wanted to make it to 100, but settled for 94. On July 11th, he entered his heavenly home where he is now reunited with his Pearlene.